I’ve been a professional musician for the past fifteen years and teaching for the last five. I specialise in Guitar and Bass guitar tuition and have toured the world playing Rock,Pop,and Indie Rock music. I have toured and played shows with bands such as Snow Patrol/Two door Cinema Club/Air/Noel Gallagher’s High Flying Birds/Supergrass and Paul Weller to name a few. SXSW festival(USA) and many more. – As a musician,performer and writer I have worked with quite a number of successful Irish bands and artists most notably internationally renowned composers David Holmes and Phil Kieran. I make lessons as fun,relaxed and enjoyable as possible whilst making sure we get to grips with the basics of what you are trying to learn. 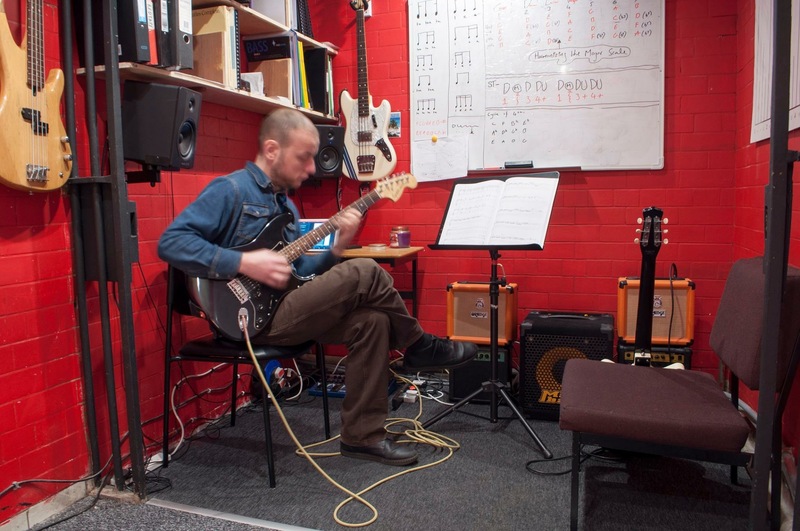 As the Academy tuition focuses on guitar and bass guitar skills ranging from absolute beginner through to advanced, song writing, performance and theory lessons. We use a variety of recognised music methods to help you progress with all the skills required to reach your musical goals. Whether you want to learn the basics, work towards your grades or simply just learn to play your favourite songs or riffs Stuart can help you achieve your goals. Stuart knows exactly what it feels like to be a beginner to a new instrument and will make 100% sure you feel comfortable at all times and have a clear understanding of what you are learning. Lessons are structured to the specific needs of each individual student with defined goals set each month to get you progressing.